There are 1800+ Toppers at CQ! 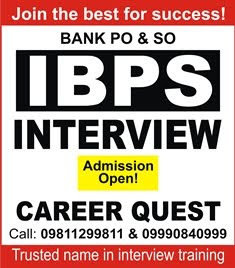 Hi, I took coaching for SBI PO interview from Career Quest and got selected scoring 42/50 marks in GE/PI. I personally feel that although my mains performance had a crucial role to play in my selection but with a great performance in interview I could grab the most wanted Delhi circle. 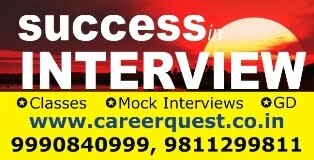 I would like to give the credits for this success to Career Quest and Respected Sanjeev Sir. During my 8 days training, he taught me how to walk, talk and dress up smartly, (like a banker to be precise). My problem was that I underestimated myself a lot, but by his constant pushing optimistic approach, he infused in me a New confidence. The mock interviews with Sir were very similar to what i actually faced. I Thank you Sir for suggesting me right attire for interview because I think it worked wonders for me. Thank you so much Sir, I will never be able to Thank you enough for this gift of the lifetime. Excellent place for removing doubts from your mind about interview and preparing yourself for the challenge. I got selected in Sbi Po 2016. 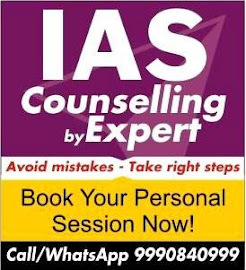 A lot of credit goes to Sanjeev Sir for that because i used to be a bit nervous before any interview but after attending classes, I pretty much was confident about it. 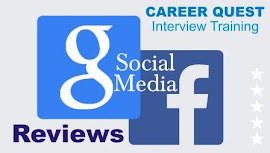 Be it the ample gd topics discussion and the mock interview, everything was really helpful. Thank you sir and i hope more and more students get benefited from career quest. When did you decide on Banking career? Aren’t you over qualified for this position? What have you been doing after graduation? What is a Bank? What is NBFC? What do you know about SBI? Why are you interested in SBI? Why don’t you join some private bank? How is your professional knowledge useful for SBI? What will you do if you get a better govt job? Will you relocate to another city for job?